On Saturday I ran a 10K race with an average pace of 10:02 minutes per mile. In just three weeks, I actually shaved 16 seconds off my per mile time from the previous, 4-mile race! It was shocking to me, to say the least. In the last few years, I have been focused on other aspects of my training and running has taken a back seat. However, since I completed my Yoga teacher training in April, I have been slowly returning to running as a primary fitness tool in my life. As I ran the race on Saturday, my mind was actually busily trying to figure out what was happening in my body. I was worried in some ways that my pace was too fast and that I wouldn’t make it to the end without crashing. I did make it, and I finished strong. The other part of my mind was also trying to figure out how my body had switched to a higher gear? My training has stayed relatively the same but for one big difference…I am now swinging heavy kettlebells during my workouts. I have switched from a twenty pound bell to using primarily thirty and thirty-five pounds. Prior to the race, I had already felt my strength increase by a noticeable and considerable amount. Amounts that were previously very difficult have now become normal. It’s kind of crazy in an awesome way! My final thought? I continue to be extremely pleased with the disciplines that I have pursued and teach to my clients. 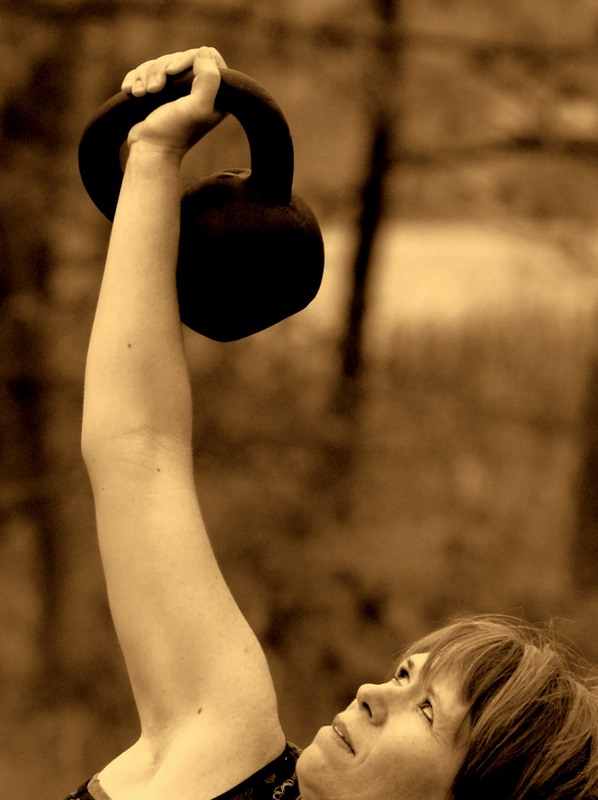 Both kettlebell and yoga provide lifelong fitness that can accommodate nearly anyone at any stage of their life. Not too many other exercise options can boast of providing all the facets of training needed for holistic and balanced fitness.